ATTORNEY ROSA REBIMBAS, ATTORNEY BRADFORD BARNEYS AND THE INJUSTICE OF THE STVAN V. STVAN CASE! PROTEST THE REAPPOINTMENT OF CONNECTICUT FAMILY COURT JUDGE GERARD ADELMAN! "Do Not Reappoint Connecticut Judge Gerard Adelman!" Please email and call the co-chairs of the 2017 Connecticut Judiciary Committee to tell them "It is Not OK" to reappoint family court judge - Gerard Adelman - who dismisses evidence of domestic violence and punishes protective mothers by retaliating and taking custody of their children away! 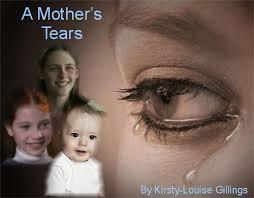 There are 10 cases where mother's lost custody in his courtroom...It is Not OK! WEAR RED TO THE HEARING! 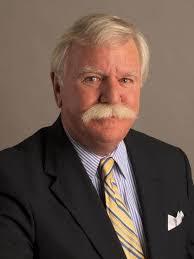 Connecticut Family Court Judge Gerard Adelman is up for reappointment as a Trial Referee Judge. His previous 8 year tenure as a family court judge has torn families apart, bankrupted litigants and allowed and condoned the continued abuse - litigation abuse - of domestic violence victims and dismissal of their traumatic DV experiences from his bench. Call and email the Judiciary committee co-chairs and members to educate them about how they can protect children in family court from harm by VOTING NO on the reappointment of Gerard Adelman as a Trial Referee Judge. DID ATTORNEY ROSA REBIMBAS IGNORE CONFLICTS OF INTEREST WHICH SHOULD HAVE KEPT HER OUT OF THE STVAN CASE? PART IV: STVAN v. STVAN! On September 25, 2015, during an "ex parte hearing" in the Stvan v. Stvan case, the Court transferred temporary full custody to Thomas Stvan. 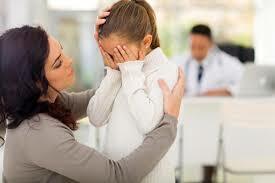 At the same time, the Court also appointed Attorney Rosa Rebimbas as the Attorney For the Minor child or AMC. Just to note, for your information, by ex parte I mean that Ms. Paige Stvan was not present at the hearing to defend herself from the accusations again her, and in fact, she wasn't even informed that the hearing was taking place. By law, 14 days after the ex parte hearing, Ms. Paige Stvan should have been allowed to have an evidentiary hearing where she could defend herself. But as I have stated, she never had one, which is illegal. Of course, the immediate question here is, why does a 12 year old need an AMC? An AMC primarily participates in a legal matter involving a minor child to ensure the client is accorded her legal rights. It is a very limited role and is usually reserved for older teenagers around 15,16 years old who are almost independent. No 12 year old is mature enough to make life changing decisions and direct the actions of an attorney at such a young age. In contrast, a GAL's role is more geared towards conducting investigations and working with the family, which would seem more appropriate where one party had made unfounded accusations. What I would suspect is that the reason the Court assigned an AMC is that Thomas Stvan exaggerated the situation to make it appear as though Ms. Paige Stvan's condition was so severe that she wouldn't be in the picture for months to come, and that there would be no need for an investigation and a report in preparation for the 14 day follow up hearing to see if the change of custody was truly necessary. Another reason a jaded person like me would speculate that the Court diverted from its ordinary manner of doing business and appointed an AMC for the child at this juncture is that all conversations, all correspondence related to representing a child become secret and confidential if you are acting as an AMC. Because documentation created or received while acting as an AMC is not discoverable, this means that acting in that role allows any legal professional considerable leeway to hide any wrongdoing. So who is this Attorney Rosa Rebimbas who is supposed to be acting on behalf of the child in this case as AMC? 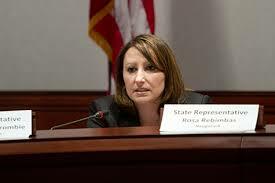 Attorney Rosa Rebimbas is a State Representative in the CT General Assembly. This is the same Attorney Rebimbas who not long ago saw fit to verbally abuse and attack a fellow member of the Judiciary Committee, Rep. Minnie Gonzales, who has been so courageous in calling attention to the abuses and corruption of family court. Of course, those of us who fought for the Task Force that investigated the misdeeds of family court, those of us who had the courage to step forward, despite fears of retaliation, to speak out and provide testimony about our sufferings as a consequence of the wrongdoing of the CT Judicial Branch, have viewed Rep. Minnie Gonzales as our standard bearer. Rep. Minnie Gonzales is the warrior who spoke out courageously on our behalf, who had compassion for our hurt and pain, and for the loss of beloved children and homes and college tuition accounts, who understood how it felt for us to be thrown out onto the streets, jailed and deprived of precious family bonds with our children as a consequence of the denial of our constitutional and human rights within the CT Family Court system. Attorney Rosa Rebimbas is the State Representative who took it upon herself to insult our standard bearer, Rep. Minnie Gonzales, and call into question her integrity and her devotion to the people of the State of Connecticut and also to the victims of family court. This is the woman who appears in the middle of this case--Stvan v. Stvan--to orchestrate, what I believe to be, one of the worse cases of child stealing from a protective mother--Ms. Paige Stvan--that I have seen in years, and I've seen and written about some of the worst. Let me just say at the outset that it appears to me that appointing Attorney Rosa Rebimbas in a custody case before a family court judge represents a conflict of interest for her. This is why I question whether it was appropriate for her to be in this case at all. The reason why is because, at the same time she is appearing before Judge Gerald Adelman, she is also an active member of the CT General Assembly's Judiciary Committee. It is her job to vote to reconfirm Judge Adelman to the bench when he comes up for reappointment. So she is supposed to be appearing before Judge Adelman in a subordinate role, while at the same time she is also in the position of monitoring him and holding him to account for complaints that citizens make against him. There is also another conflict of interest. At the start of this case during the ex parte hearing on September 25, 2015, Attorney Rosa Rebimbas was appointed to act as the Attorney For the Minor Child (AMC) in the Stvan v. Stvan case. Again, we can call into question how come a child of 12 would ever in a million years have an AMC represent her, but be that as it may. Later, in November 2015, Attorney Rebimbas switched roles and became the GAL for the minor child and handed the job of AMC to another attorney, Bradford Barney. I just personally find this switcheroo of roles very inappropriate. She shouldn't be playing two separate positions for the minor child, bottom line, of course, because it is confusing for the child, but most specifically because it blurs boundaries in regard to her responsibilities. Of course, I am aware that in Connecticut Family Court it is a standard for an attorney to act as both Attorney for the Minor Child and Guardian ad Litem at the same time, but to me that's just one more example of the complete insanity of Family Court in Connecticut. So now this little girl has been told she had one kind of relationship with Attorney Rosa Rebimbas, and now the page is turned and the relationship must transform to something completely different. That's tough enough to do with an adult, but doing that to a child is outrageous! As an aside, at this point it is worth noting that over half of the people elected to the CT State Legislature are all attorneys. So it is like this private mafia of attorneys all together in this group, dominating the legislature, who I believe, engage actively in supporting and covering up for their comrades in the legal profession, even to the point where it is colluding with activities within the Family Court system which are causing harm and damage to Connecticut's citizens. If these conflicts of interest make you uncomfortable, you can imagine how uncomfortable they made Ms. Paige Stvan. As a consequence, at the hearing on choosing a GAL for her little girl in November 2015, Ms. Paige Stvan strongly objected to the appointment of Attorney Rosa Rebimbas as GAL. Not only did she object personally in Court, she also submitted two lengthy and detailed motions to the Court asking to have Attorney Rebimbas totally removed from the case, one on December 6, 2015 and another on December 8, 2015. In doing so, Ms. Stvan had a strong legal position. Under CT Public Act 14-3, the Court must provide to the parties in a case a list of fifteen approved people to serve as the GAL. The parties then have a right to agree on a person from that list of 15. Unfortunately, and this is where a huge loophole appears, if the parties disagree, then the Court is allowed to choose a person from that list of his own accord. In the Stvan case, without even allowing the parties to confer regarding who would be the GAL, and without even providing them with the list of 15 potential candidates, Judge Gerald Adelman simply appointed Attorney Rosa Rebimbas over Ms. Paige Stvan's objections. Somehow, when it put CT Public Act 14-3 into place, I don't think that the State legislature intended the Court to ride rough shod over the wishes of the parties in a case as it did with Ms. Stvan, particularly when there were solid grounds to simply remove Ms. Rebimbas from the case entirely, i.e. her lack of neutrality and fairness towards Ms. Paige Stvan. As Guardian Ad Litem, it was Attorney Rosa Rebimbas' responsibility to carry out a full investigation into what was going on with Thomas Stvan, Paige Stvan, and the minor child. As a result, If you review the record of the case, Ms. Paige Stvan brought to Court and made available to Attorney Rosa Rebimbas and the Court numerous mental health professionals and private citizens who supported her as an individual and as a mother. There was Ms. Ashley Adamson, LCSW, Dr. Eric D. Jackson, Ph.D., Ms. Danielle Sileo, LMFT, Pamela Lape, M.S.W., Dr. Lawrence Lorfice, M.D., Dr. Linda Gunsberg, Ph.D., and Ms. Linda J. Gottlieb, LMFT, LCSW-R. as well as friends who provided letters and affidavits to the Court. However, even though some of these professionals personally travelled all the way to Court, some from out of state, and spent the entire day waiting to provide their testimony, Attorney Rosa Rebimbas, from what I understand, prevented the Court from hearing about or listening directly to their testimony. Not only that, she simply ignored the recommendations that these professionals made. In an email dated March 6, 2016, one of these professionals, Dr. Linda Gunsberg provided a written overview of a conversation she'd had directly with Attorney Rosa Rebimbas in which she recommended that an independent forensic family expert evaluate the Stvan family to determine what was going on. Dr. Gunsberg also recommended a mental status examination of both parents, psychological testing of both parents and an assessment of the child. In specific, Dr. Gunsberg stated that "the forensic expert must be trained in the assessment of children, parental alienation, domestic violence, and the interrelationship between domestic violence and parental alienation." Despite these recommendations from a trained mental health professional indicating the most effective way of resolving the case in the best interests of the child, Attorney Rosa Rebimbas simply ignored them all and didn't follow through. Overall, obstruction and non cooperation were Attorney Rebimbas' way of interacting with Ms. Paige Stvan across the Board in violation of her professional obligation as a GAL to remain independent and objective and to show respect for persons. Eventually, Ms. Paige Stvan directed several discovery requests towards Attorney Rebimbas. However, instead of responding promptly, as was appropriate, the latter chose to ignore the requests, even though she received a court order on March 17, 2016 from Judge Gerald Adelman to comply. I would suspect Representative Rosa Rebimbas felt that she didn't have to be too concerned about a Judge's order, seeing that she was such an important person. And she was right. What is particularly egregious is that, in her incomplete response to discovery, Attorney Rebimbas took the opportunity to slander Ms. Paige Stvan's character further and draw negative inferences in regard to the presence or absence of her ADA advocates which had no basis in the truth. As I have stated, ADA advocates didn't remain in the case because the Court disrespected their work. It is true you can take advantage of self represented parties like Ms. Paige Stvan because they are vulnerable and often don't know the rules. The only question I'm left with here is what happened to Rosa Rebimbas' oath as an attorney "that you will do nothing dishonest, and will not knowingly allow anything dishonest to be done in court"? What about her obligation to uphold the law? Did these conflicts of interest I have detailed here compromise Attorney Rosa Rebimbas ability to act ethically in this case? We will never know. What we do know is that, as a direct result of her actions, Ms. Paige Stvan has had to endure the worst kind of pain and injustice that a mother can be subjected to. A MISCARRIAGE OF JUSTICE: HOW FAMILY COURT BULLIED PROTECTIVE MOTHER, PAIGE STVAN, AND CUT HER OFF FROM THE DAUGHTER SHE LOVES, PART III! "The court orders that a hearing be held at the time and place shown below, which, if relief on the application is ordered ex parte, shall not be later than 14 days from the date of such order for hearing." As it turned out, the ex parte motion was granted on September 25, 2015 and there was a hearing scheduled for October 8, 2015. However, on that day, there was no hearing on the legitimacy of the ex parte order for a transfer of full custody from Mother to the Father, Mr. Thomas Stvan. At no time during the October 8, 2015 hearing did Judge Gerald Adelman address the issue, or allow Ms. Paige Stvan to present evidence or testimony in order to challenge the change of custody that occurred with the ex parte motion. In effect, the Court simply ignored the legal requirement of an evidentiary hearing on the matter and, indeed, there never was such a hearing. In addition, if you look at the upper right hand side of the Form JD-FM-222 re an exparte motion there is a notification regarding the ADA which is as follows: "The Judicial Branch of the State of Connecticut complies with the Americans with Disabilities Act (ADA). If you need a reasonable accommodation in accordance with the ADA, contact a court clerk or an ADA contact person listed at www.jud.ct.gov/ADA." The important point to note here is that once the Superior Court had identified Paige Stvan as a person with a disability, which it had by granting Mr. Thomas Stvan's ex parte motion, it had the obligation to make sure that Ms. Stvan had access to the ADA Designated Responsible Employee, and also that she had the opportunity to make arrangements for her reasonable modifications in order to have access to the legal proceedings. This was not done. To all intents and purposes, this means, in other words, that Ms. Stvan was essentially excluded from the legal proceedings. Even worse, from the report Ms. Stvan has given to me, even though she repeatedly requested ADA modifications, ADA contact people at the Courthouse repeatedly evaded her inquiries and denied her requests. If the Judicial Branch is going to state on every document it produces that it will comply with Title II federal ADA law, it really needs to do so. Returning to Judge Gerald Adelman's January 8, 2016 memorandum, one of the grounds that Judge Adelman cited as a reason that he decided to cut Ms. Paige Stvan off from all access to her daughter is that Ms. Stvan did not comport herself properly in Court. As he put it, "the defendant had repeatedly demonstrated an inability to control herself requiring the court to stop the proceedings many times to remind her of proper courtroom decorum." I did not see that when I read the transcripts, but be that as it may. You have to ask yourself, was that before or after Judge Adelman told Ms. Stvan that she would never be able to see her child again. I am aware that, at one point, the proceedings had to be stopped because Ms. Stvan burst into tears and had to leave temporarily. I suppose Judge Gerald Adelman found that behavior outrageous. However, I don't recall seeing any CT legal statute that states showing "proper courtroom decorum" is a requirement for being a parent. In fact, I've seen all sorts of parents walking into family court, some with their pants falling down, others with their midriffs showing, some chewing gum, many who directly argue with the Judges at length and challenge their decisions. These people don't lose custody because of that behavior. So why is Judge Adelman making demands on Ms. Stvan regarding decorum that are not made of other litigants, and that are independent of the law! More important, it is a standard complaint of Court personnel who are dealing with folks who have disabilities that people with disabilities lack decorum during legal proceedings. It is standard for Judges to find fault with the person and demeanor of individuals with disabilities because they do not understand what is going on with a person who has a disability, particularly when it is an invisible disability. This is why Courts are required to offer these reasonable modifications under Title II of Federal ADA law as promptly as possible as soon as either side raises the issue of disability. This Judge Adelman did not do. Eventually, on December 4, 2015, Ms. Paige Stvan was finally able to figure out how to access her reasonable modifications, and the first request she had was the opportunity to have a person sit next to her and take notes during court proceedings. However, the ADA advocate she hired soon quit because the Court treated her so badly she left. This is the point where Ms. Elizabeth Richter signed up to work as Ms. Stvan's advocate, but she chose to withdraw as well for the same reason stating, "The atmosphere of family court is so hostile towards Certified ADA Advocates that I simply cannot provide the kinds of necessary services that my client needs." What this means, basically, is that, according to the law, the entire time that Ms. Paige Stvan has been going to family court regarding this matter, all the legal proceedings have been null and void. So the problem here isn't Ms. Stvan's demeanor, the problem is Judge Gerald Adelman's ongoing failure to comply with ADA law. This has excluded Ms. Paige Stvan from even the barest modicum of due process in regard to these legal proceedings. Five days after the ex parte change of custody to the father, on September 30, 2015, Ms. Stvan's attorney, Christopher Brennan, filed a motion to withdraw. He then scheduled this motion to withdraw for October 8, 2015, the day which was supposed to be for the hearing on the ex parte motion. In order to avoid an evidentiary hearing on the motion to withdraw, and to evade any accountability from his client, Attorney Christopher Brennan requested a Matza Hearing in order to withdraw from the case. What is interesting is that, Attorney Brennan didn't say anything about needing a Matza Hearing in his motion to withdraw, so it came as a complete surprise. This meant that Ms. Stvan had no opportunity to prepare for such a hearing. The first time the Matza hearing got mentioned was in Attorney Brennan's opening statements on the the day of the hearing. You've never heard of a Matza Hearing? Well, neither had I before I read the transcript of the October 8, 2015 hearing and I'm sure neither had Ms. Paige Stvan! She and I were completely clueless, as I am sure Attorney Brennan knew we would be. The Matza Hearing arises from the case of Richard A. Matza v Jane W. Matza 226 Conn. 166 (1993). 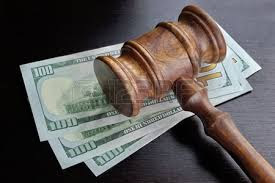 In this case, the Defendant, Jane Matza attempted to implicate her attorney in hiding approximately $196,000 from the Court by falsifying her financial affidavit. Her attorney then wrote up a sealed affidavit to this effect and discussed the matter with the judge in chambers, who then allowed the attorney to withdraw from the case. This ultimately led to a situation where the defendant, Jane Matza, was forced to represent herself. Once the case was concluded and the results were not to Jane Matza's liking, she appealed stating that she had been denied an evidentiary hearing in regard to the withdrawal of her attorney and she objected to the in chambers hearing which occurred instead and did not allow her to present her side. The case ultimately went to the Supreme Court which, in its decision, quoted rule 1.16 (b) which states that "a lawyer may withdraw from representing a client if withdrawal can be accomplished without material adverse effect on the interests of the client..." However, one of the exceptions to that rule kicks in if "The client persists in a course of action involving the lawyer's services that the lawyer reasonably believes is criminal or fraudulent..."
The question the Court was faced with is, if an attorney has a reasonable basis for believing that his or her client might be engaging in something criminal or fraudulent, is Superior Court required to hold an evidentiary hearing in order to confirm the factual underpinnings of the attorney's claim. In Matza v. Matza, the Supreme Court stated that there is no need for such an evidentiary hearing, because the claim doesn't have to be proven in full;an attorney merely needs to establish that he has a reasonable belief that it is credible. The Supreme Court pointed out that Jane Matza knew what she was accused of and never attempted to dispute the truth of it. What Attorney Christopher Brennan did, therefore, by requesting a Matza hearing, is essentially indicate to the Court that he had a reasonable belief that Ms. Paige Stvan was intending to do or had done something criminal or fraudulent. Of course, Ms. Stvan had no idea that this is what he meant and she was completely unaware that she was being accused. Since she had no idea she was being accused, she had no idea that she needed to defend herself, and certainly she had no idea what it was that she was supposed to have done! Talk about a complete denial of due process! Then, merely by requesting the Matza Hearing, he proceeded to convey to everyone involved in the case that Ms. Stvan was a person of poor character capable of doing something either criminal or fraudulent. How more damaging to his own client can this behavior get, and how more unethical could he be? How is Paige Stvan supposed to find another attorney to represent her with this kind of unresolved accusation hanging over her head? At this point, the Matza case and the Stvan case diverge. In the Matza case, the Defendant Jane W. Matza was well informed regarding the issue that led her attorney to withdraw. In the Stvan case, Ms. Paige Stvan had no idea what was involved because her attorney never told her and she was excluded from the in chambers hearing. The Judge, Attorney Christopher Brennan and her ex-husband's attorney, Nancy Aldrich were at the hearing, but Ms. Stvan was told to remain outside the room in the hallway. This meant that while even Ms. Stvan's ex-husband and his attorney knew what Paige Stvan was accused of, no one saw fit to inform Ms. Stvan herself. Second, when the Judge in Jane W. Matza's case allowed her attorney to withdraw, he then granted a continuance in the case in order to allow Ms. Matza an opportunity to obtain alternative counsel. In Ms. Paige Stvan's case, she was not given a continuance and she was not given additional time to hire another attorney to represent her despite the fact that some major decisions were made during that October 8, 2015 hearing. Further, how is Paige Stvan supposed to obtain alternative counsel when her attorney, Christopher Brennan, left her burdened with the implication that she either had or intended to commit some criminal or fraudulent action in her case, the nature of which is completely unknown since the hearing on the accusation against her was all done behind closed doors. The bottom line is that Mr. Thomas Stvan, his Attorney Nancy Aldrich, and the GAL, Attorney Rosa Rebimbas have made many claims in this case. However, their claims have never faced the challenge of an evidentiary hearing, which is legally required before such claims are acted upon. Aside from their unfounded, unverified statements to the Court, which are hearsay, for the better part, there is nothing to justify or prove their claims. Meanwhile, Ms. Paige Stvan has been cut off from her daughter for over a year now independent of any legal grounds. The injury this separation has done to Mom, Ms. Paige Stvan, and the emotional damage inflicted on her daughter as a consequence, are incalculable and will continue to unfold. This case is and remains a disgrace and a moral blight on the State of Connecticut Judicial Branch.